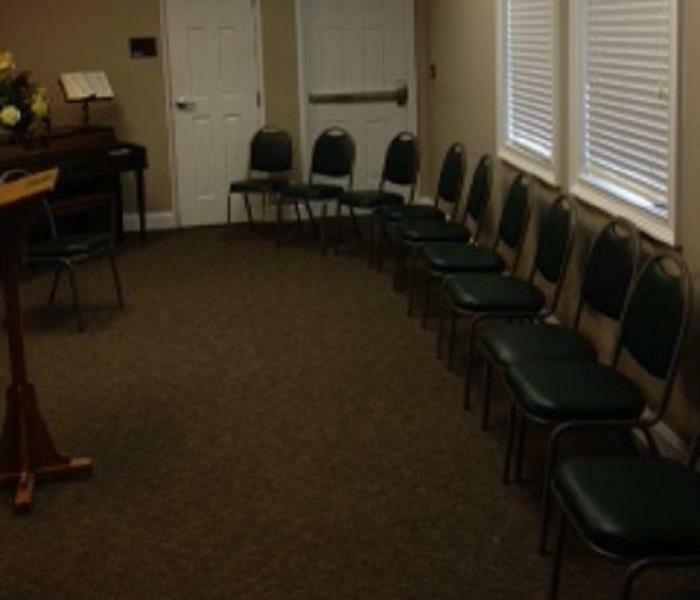 This flooded hall in Greenwood, SC was the result of a broken pipe during "The Polar Vortex". The water was several inches deep. This office was flooded with several inches of water. The after picture shows the room after water extraction, drying, and restoration has taken place.